First Teaser Trailer Released for Dead or Alive 2 Slot by NetEnt! The release date for the Dead or Alive 2 slot is April 24th 2019, and we're excited. Here's the first teaser trailer for the meanest slot in the west. 10 years ago, NetEntertainment were not the household casino name we know and love. But 10 years ago a monumental thing happened. 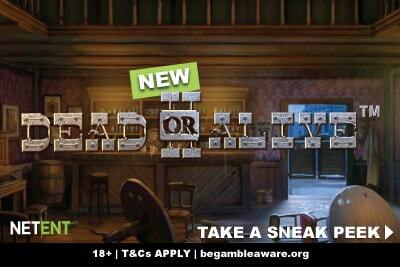 NetEnt released the first and original Dead or Alive slot which has been on players ‘must play’ list for years. If it’s not on yours, then we are about to introduce you to one of the biggest gems in the NetEnt collection, as well as get you excited for the sequel coming this Spring. 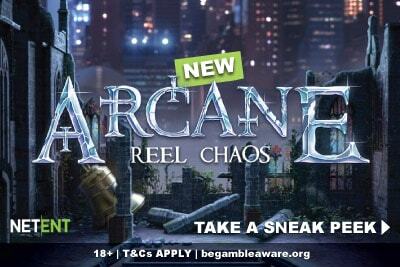 But before we go back in time, let’s take a look at what will be on our mobile casino screens this April. So it’s not a whole load to go on. After all, this is a teaser, not the full video of the gameplay. At the time of writing April 24th is still a couple of months away and we still have 3 other NetEnt games before that. So yeah. Dead or Alive 2 a far way away down our list of upcoming NetEnt slots, but on the other hand. it’s kinda the one we are the most excited about. 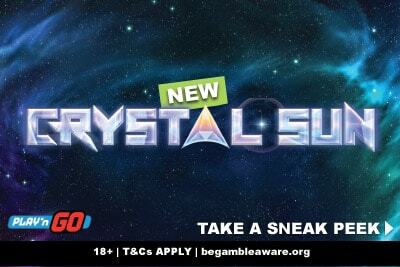 The Scudamore’s Super Stakes slot looks good, don’t get us wrong, but in this office, there are more comic book fans than sports fans, if you know what we are saying. Not that they are mutually exclusive, but honestly, there’s a reason why we review games for a living instead of enjoying the fresh air outside. We do expect another full trailer video to drop in the next month or so, but until then let’s see what little gems of inspiration we can deduce from this teaser trailer video. With updated graphics and brand new characters, these outlaws sure look better than in the original Dead or Alive. There’s a dirty, grimy look to it that we would say feels novel if we hadn’t seen it before in the recently released Golden Colts by Play’n GO, or even NetEnt’s own Wild Wild West slot from a few years ago. Still, let’s not be too negative about it. This is the old west, and it has the right tones, the right images, and for the slot game it’s following, the right feel. What do we mean by feel? Well, Dead or Alive always felts like the kind of Western where they would shoot you at dawn far more than have you drinking Tequila and dancing on tables. It felt dangerous because it is a dangerous game. Which bodes well for the sequel, because we hope it keeps all the same high thrills. What people love about the original is the simplicity of the game and the high win potential. Namely how you got sticky wins and a 2x multiplier in the free spins. 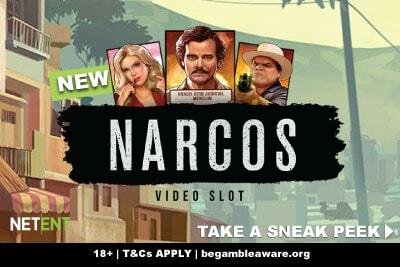 NetEnt have been smart and kept what made the original great; those slot free spins bonus rounds. But because a sequel isn’t a sequel unless it’s darker and more complicated, you can expect a little more. That’s three rounds where you can pick how big you want your multipliers. It sure sounds like this game will deliver on its bounty. Will Dead or Alive 2 be better than Dead or Alive? Sequels are always difficult. You make them too different from the original and you end with a Twin Spin Deluxe game scenario where you don’t even recognise what made the first one great. You make them too similar and you start wondering why you should even play on the sequel. But sometimes it can work; especially when it comes to older slot games. There is something refreshing about giving an older generation game an uplift, while still keeping the features that people love. Just look atPixies of the Forest 2 by IGT. So why do people love Dead or Alive really? Is it the outdated Wild West American slot theme? Or do they love it because it’s one of those games that genuinely creates big winners, and often? That’s the end and short of it. It’s all going to come down to the paytable and the RTP of the slot machine. The fact that you have the old saloon free spins gives us hope. Because those free spins are what made the original great. Even if the paytable win amounts don’t increase, you now have two other free spin options with bigger multipliers. Better yet, if you look at the video, you’ll see that this Dead or Alive 2 is a 5×3 reel 9 payline slot game, much like it’s older sister. NetEnt seems to have taken on board the fact that is it’s not broken… added some glitter, improved the quality of the mirror, and then just put extra gems on the frame. And you know what? We are totally on board for this crazy ride.